April 1, 2017 [St. Petersburg, FL] — Today, the husband and wife team behind the Kahwa Coffee brand announced their latest venture for the fast-growing Tampa Bay company in the form of a scent. 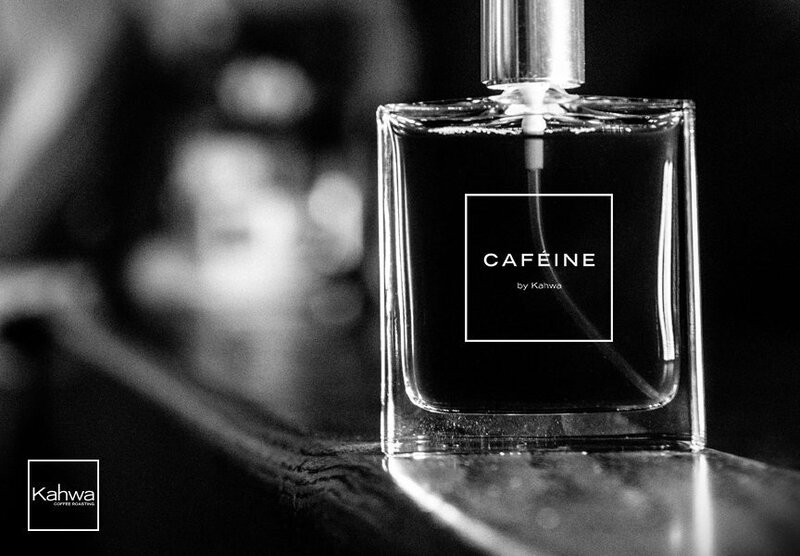 Caféine joins the brand’s growing portfolio that includes 11 retail stores, 650 wholesale accounts, ecommerce and appearances on the multi-channel retailer, HSN. Kahwa launched a 30 second spot to tout the new scent across social media, which can be viewed at this link. Sarah Perrier, a former dancer with the Koresh Dance Company in Philadelphia, joins her husband Raphael in a 30-second cinematic social video celebrating the new scent, both of which are a nod to his French heritage and her love of French culture. 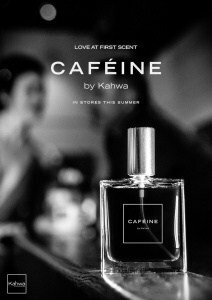 The alluring fragrance, soon to be offered exclusively at Kahwa Coffee cafes, is fashionably feminine with a hint of classic masculine accoutrements. Warm and rich new fragrance that captivates from morning to night, like the smell of fresh, hot Kahwa Coffee. Constructed with the heat of that first touch, Caféine by Kahwa creates an undeniable rush of attraction between two people that is long-lasting and addicting. A Magnetic Roasted Coffee Bean Sensation – Crafted from a unique blend of hand-selected Arabica beans from around the world, this combination is meant to capture the undeniable fiery attraction between two coffee lovers. Tempting Dark Cherry Essence – The luscious, delicious scent of vine-ripened cherries set aglow with a full bodied sweetness that is memorable and intoxicating. Sunny Delicious Honey – Warm and luxurious, its essence emanates with hypnotic indulgence, bringing an intense brightness and warmth to the fragrance. In 2006, Kahwa opened its first shop in downtown St. Petersburg. Both Sarah and Raphael introduced the coffee from behind the counter as the company’s first baristas. 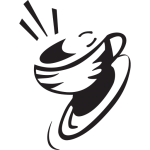 Now celebrating over ten years of good coffee, Kahwa shops can be found around Tampa Bay area — North to Belleair Bluffs and South to Sarasota. The company’s wholesale distribution has exploded to 500 local and national restaurants and five-star hotels across Florida and the entire United States in California, Washington D.C. and Pennsylvania. Kahwa is the exclusive coffee vendor of the Nassau Airport with three shops, as well as the official coffee of Parrot Cay, a private island resort in Turks and Caicos from the COMO Hotels and Resorts Group and the luxury resort, Amangiri, in Utah’s Lake Powell Region. Kahwa Coffee is featured prominently at Tampa International Airport with the newly opened NewsLink Group in Terminal C and Terminal E.